Home Big Opinions Conrad does a Ronan. Conrad Smith Starts Coaching Job. Conrad does a Ronan. Conrad Smith Starts Coaching Job. Conrad Smith takes a coaching job. I am always interested in retired players that decide to put something back into the game. They stay in the world of rugby by continuing their involvement as coaches, managers, referees and the like. There are the Glen Jacksons and Egon Seconds of the world, who played the game at a high level and then switched over to refereeing are examples after retirement. Rugby does not qualify you as an administrator either. John Smit struggled to get to grips with the task of managing and guiding the Sharks after his appointment as CEO. He was a great rugby player and captain, but that did not necessarily translate into business skills and administrative nous. He has since moved on from that job. In the world of coaching there are many famous names, known to the world as high-profile coaches, some of whom played Test rugby, and many who did not. Some really good coaches who made the transition from playing to coaching at the highest levels did not play the game right at the top, some were no more than club players. Kitch Christie, Jake White, Steve Hansen, Michael Cheika, Eddie Jones, Joe Schmidt to name just a few. Rugby is not just about the players. It needs the coaches, the administrators, the match secretaries, the baggage masters, the gofers too! The game needs and thrives on those that have gone before as players, staying in the game and passing on their accumulated experience, wisdom and learning. Sadly, too few players make the transition from playing to putting something back into the game. In the amateur era almost all rugby players had a career outside the game and most stayed in their careers when their time as a player was over. Many continued their involvement with rugby, but it was as part-timers. Amateurs all, staying in the game for one reason only, the love of the game. Many brought their business expertise, the learnings from their life outside rugby, into their post-playing involvement. In the modern era the thinking is a little more mercenary. Many retired players look for a way to capitalise on their fame and celebrity status once their playing days are over. Some head off into the world of business to sell their famous visage as corporate ambassadors, a corporate version if a male model. A brand ambassador for sports wear, food lines, an airline……. Yet others set themselves up as motivational speakers and mentors. Others simply go quietly into their own worlds, using the invested wealth accumulated as players to set themselves up in some business, from farming to teaching, from sales to administration somewhere. Yet others jump at the chance of becoming celebrity television commentators and “experts” wearing sponsored suits with cute lapel badges and enormous salaries. They share their knowledge with the world, sometimes revealing how little they actually know about the game they played. But there is a core of players who are enthralled with the game and look to put something back. Most of them look for coaching jobs somewhere. Some dive into the deep-end and take on high profile coaching jobs for which they are clearly unprepared or unsuited. Just one example will suffice: Carel du Plessis was one of the finest wings ever in world rugby, he was handed the Springbok coaching job without having coached a team at any lower level. He had not even coached a school side. He went down like the Titanic, within one short season. He is just one of many who could not make the transition between coaching and playing. It is a truth that good players do not necessarily make good coaches. But there are a few that become really good coaches too! They are the ones that look for a job in the coaching world where they can learn and accumulate knowledge and expertise. Jobs where they can shadow senior coaches and absorb as much as possible. Ronan O’Gara, the second most capped Irish rugby player in history and highest ever points scorer, is one such player. After retiring from the game in 2013 he became an assistant coach at Racing 92 in suburban Paris. 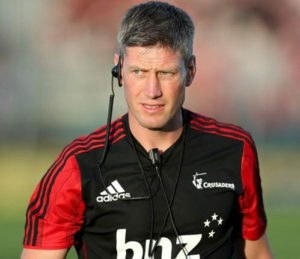 Five years later, in 2018 he is the Assistant Backline Coach for the Crusaders in New Zealand. His contract with Crusaders has just been extended to the end of 2019. After five years if coaching he still does not consider himself ready for a senior coaching job! O’Gara, despite his credentials as a player, is still learning about the game, and he will surely put everything he learned to good use one day when he takes a senior coaching job somewhere. I look forward to watching his career develop. Another high-profile player has decided to become a coach. 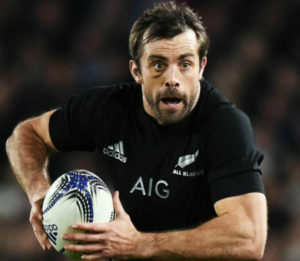 Conrad Smith only retired from rugby seven weeks ago, but he has already signed a contract as an assistant coach for the French club Pau. Much like O’Gara, Conrad Smith has not looked for a high-profile senior coaching job. He is happy to start lower down the ladder, despite his 94 caps for the All Blacks and 126 Super Rugby caps for the Hurricanes, and another 43 caps for Wellington, and then those 52 caps for Pau. He is one of the most experienced rugby players in the world, but says that he still has much to learn about the game! Smith has signed on as defensive coach with Pau. Smith told French rugby newspaper Midi Olympique he had reflected on what he wanted to do after playing his final game and had discussions with players and other coaches in Europe and New Zealand before opting for the role with Pau. “I have been thinking about what we can change, what other teams are doing well, what we can imitate, or adapt, to suit us. In rugby there is never only one way to do things. A defensive system may suit one team but not another and because of that it is important to observe, understand and adapt,” he said. The 36-year-old added he felt there was still plenty for him to learn about the game despite having had such a stellar career as a player. “During my career I’ve always played the same position, without really being interested in the forwards but now I have to take account of all the parameters. Good luck Conrad, we will watch your progress with interest. I wish more players would do a Conrad Smith or a Ronan O’Gara and move into the world of coaching. Rugby would be awfully better off if more players put something back into the game. Previous articleDuane Goes To Japan. Next articleWhat is Wrong in Australia? When you mention names you keep leaving out the name of Ian McIntosh who only played Rhodesia B. This is true – unforgiveable, but I do tend to let him slip from my mind.